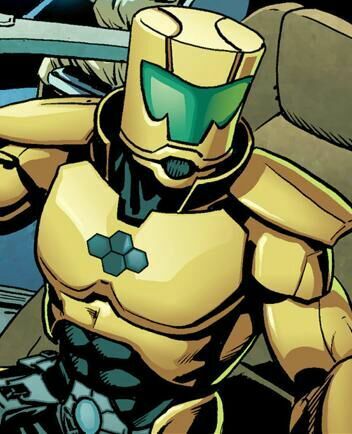 What about an empowered AIM soldier? kirinke wrote: How do you like the trainer rebuild? I statted her critter out as a proper side kick. Pity. I was starting to dig the summon version. You could also have a Feature: Gotta Catch me All. Essentially Alternate Powers to give different Pokemon... have enough versions and trade it for a full blown Variable Type. I can work with that as well, maybe boost up the minions some. We'll see which one's more appealing. Give me some time to figure it out, alright? I would say limit it to six alts, to keep in flavor with the game. Hmm. Maybe have 1 side kick then have weaker alts? That's how it usually works out in the games I've played anyway. We can work it as part of her getting power points and such, just start out with the Pikachu. Last edited by kirinke on Wed Jan 18, 2017 2:03 am, edited 1 time in total. Yes to both Camus and kirinke. Sorry, I was editing my original post with ideas so it wouldn't get too ridiculous. Amaryllis was an ordinary young girl living up in the wild's of Alaska before the merge. Though due to that, she learned a lot on how to survive in the wilds from her family. After the merge, though, monsters began haunting the land and she managed to befriend one. A Pikachu she named Peekaboo. Around the same time, she discovered her own latent psychic abilities awakening and went to seek training for them. When she did, Homeland security approached her. KID: Amaryllis is a fourteen year old kid, though a frighteningly competent one with all of the usual complications that go in with that. WANTED: Not in that way, but pokemon are incredibly powerful creatures and there are any number of bad guys who would like to use her and them for not so good purposes. RESPONSIBILITY: She knows she has an awful lot of power and her pokemon are quite powerful as well. With all of that power, she knows she has to be careful not to misuse it or have it misused by others. Smartphone. Holy Water, Holy Symbol. Blessed Salt. Multi-Tool. Survival Gear. Folding Bike. Basic Toolkit. Iron Dagger. Silver Dagger. 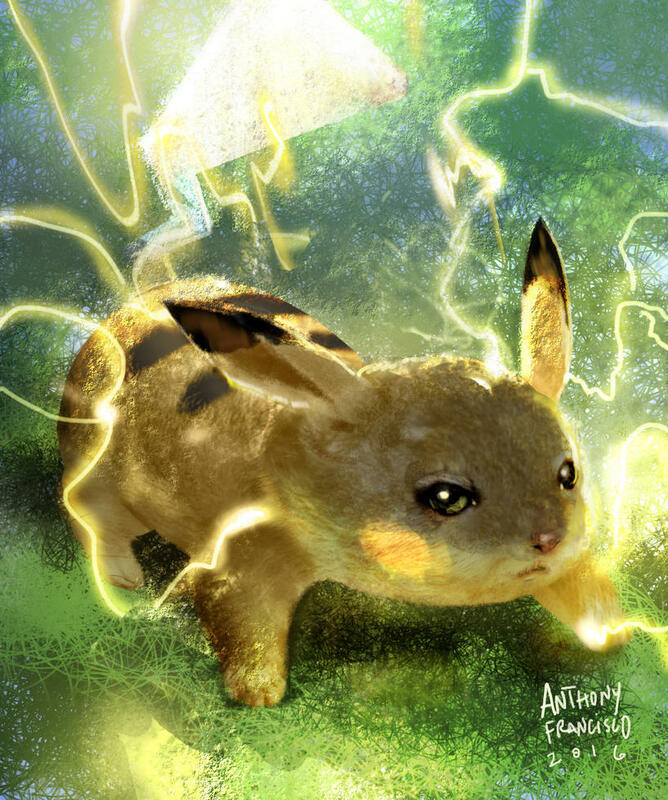 Dex Entry: Whenever Pikachu comes across something new, it blasts it with a jolt of electricity. If you come across a blackened berry, it's evidence that this Pokémon mistook the intensity of its charge. 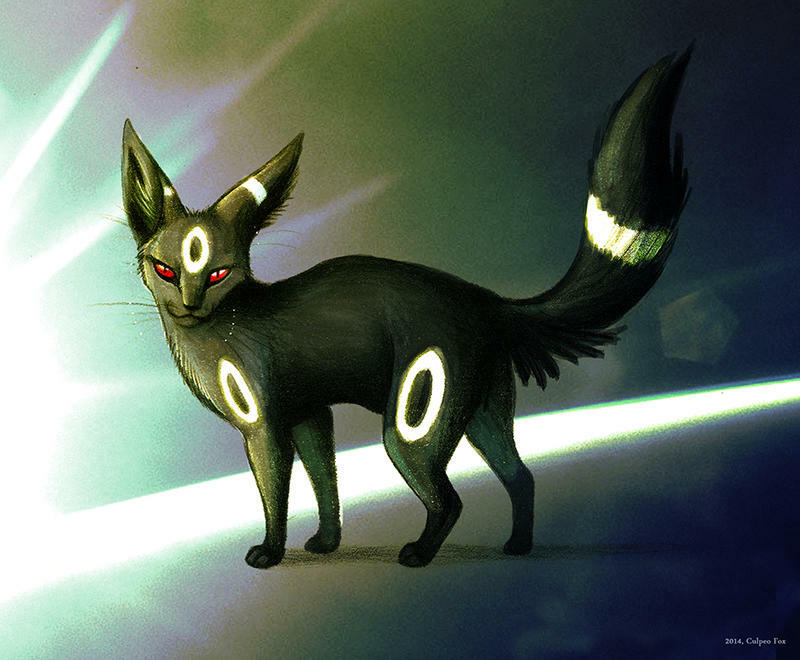 Dex Entry: With its black fur, it blends into the darkness. It bides its time, and when prey appears, this Pokémon goes for its throat, and then eats it. Last edited by kirinke on Tue Aug 01, 2017 12:06 am, edited 12 times in total. Not quite what I meant with Feature. You wrote it as a full blown Variable Type extra. Leave it for now, I want to scrutinize that build and the other submissions thus far. Didn't quite know what you wanted with it or how to word it either. Once you decide, we can fiddle with it. 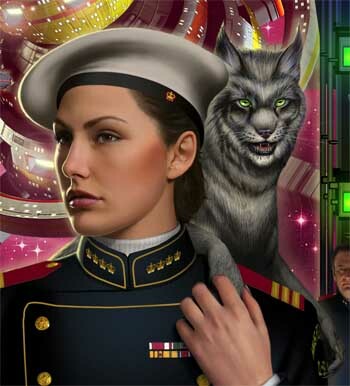 Motivation: Patriotism: Shannon is an officer in Royal Manticoran Navy's Office of Naval Intelligence, and a native of the planet Manticore. She's strongly motivated to help what's crossed over of the Star Empire survive in this strange merged universe. Prejudice: Orangazitons that remind Shannon of the old People's Republic of Haven, the Solarian League, and/or the Mesan Alignment are deeply distrusted by her. She knows that individuals are not organizations, but this can give her problems. Prejudice: As a third-generation prolong recipient in her late 40s, she looks like she's in her early 20s to humans who don't have prolong or something similar. Relationship: Shannon is bonded to Sherlock, and will take extraordinary risks to protect him. 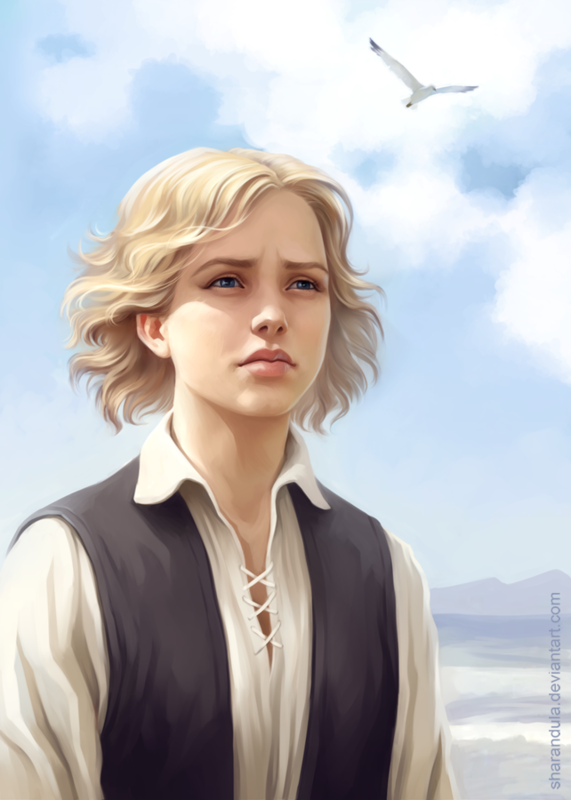 Background: Shannon Bradley was born on Manticore during the long build-up to the first Manticore-Haven war. She was assigned to the Office of Naval Intelligence upon graduating from the Manticoran Naval Academy on Saganami Island, and has served for 26 years as a technical analyst. She is one of the few RMN officers bonded to a treecat; she acquired Sherlock (or Looks Under Leaves to other treecats) during a ski trip to Sphinx early in her career. Over the course of the Manticore-Haven wars, she lost many of her friends in the fighting, which has made her less than completely accepting of the recent peace, even knowing as much as anyone on Manticore about what led to the second war. When the Merge interrupted Prince Roger's wedding, the (somewhat reduced) Star Empire of Manticore sent a delegation to Earth Prime to learn more about the universe they found themselves in. Shannon was part of that mission as a technical analyst. Relationship: Sherlock is bonded to Shannon, and will take extraordinary risks to protect her. Background: Even by treecat standards, Looks Under Leaves was an incredibly curious 'cat. He is considerably younger than his clanmate Laughs Brightly (aka Honor Harrington's Nimitz). His bondmate's interest in detective stories may have been what led her to name him Sherlock, but it seems to have been well deserved; he's been invaluable in much of her work. Last edited by drothgery on Tue Feb 07, 2017 1:48 am, edited 6 times in total. Note- the niches/ wish list I have are broad enough that multiple versions are encouraged/ acceptable/ possible. If everyone suddenly wanted to play the Thundercats with a Monkian... or a Jaffa Unit... it would have worked just as well. I'm grouping Drow in with Vampires, Chaos Marines and Goa'uld as truly evil races, with the unique exception of course. Kal'annar being one of those. Thor's image being the inspiration, I was going for villainous swordsman, so I need to alter his build slightly. He's too much sorcery not enough swordsman. Lastly his Immunity to Magic. The standard book puts it at 5 pts but that cost can be really a high or low ball depending on the GM campaign setting. Just curious. Well, by guiding (trying to!) submissions a certain way, you gotta figure I have plans of some kind rolling around... Even if I plan to be a little careful about how much cement I pour into the Merge Universe. Another example of "cousins" are Durlans/ Grue/ Martians (White and Green) have commonalities. As for the Wraith, to my mind, they do have commonalities with Vampires on some level, but yes. The Dark Eldar, Wraith and Drow can interchange their tech and benefits to a great degree. Don`t worry too much about teleport. As I review builds, I may restrict ranks, but it`s no worse than insane amount of Speed, Flight or other movement powers. If you want to think about things like colonies of treecats and the like, feel free. But try not to pin them down to specific locations. At least at the start. Regarding Shannon and Hanna Solo (er, Amaryllis)... I like what I am seeing so far. Frederik was a brilliant AIM scientist, head of the main bioenhencement section of AIM. He rivalled the seat of Scientist supreme as he was greatly achieved and highly intelligent. But as he delved deeper into AIM he grew a dislike for the unethical and egocentric MODOK, and the general goals of the organization. This was not kept a secret for long, as the actual Scientist supreme soon discovered. Using it against Frederik, the Scientist supreme imprisioned him and subject him to his own experimental serum. Frederik was administered the serum and soon began twisting and gasping in pain. 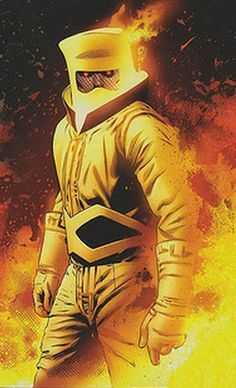 Everyone expected his yellow suit to burst and reveal a monstrous hulk, but nothing of this happened. However his skin melted as if he was burnt from inside out! Frederik seemed to have momentarily lost his memory as well. Labelling the serum as a failure AIM threw the suffering Frederik out. With resentment and self pity he tried to build a life for himself again, but the serum had also diminished his intellect to merely above average. It was one night that frustrated while drinking in a bar, he got into a fight with some other drunken man. His deformity sometimes caused this, and he was forced to move to bars that were not very selective about the type of persons they let in. He had received AIM battle training, as bad as it is, and he was confident. However he was unable to dodge a well aimed punch. His surprise came by the cracking noise of the other fighter's hand! Bewildered, he half consciously pushed the man aside, throwing him into the air! Under the surprised gaze of the other patrons, he ran away, looking at his hands. The serum had given him strength, durability and enhanced metabolism. But at a high cost. The manifestation of his powers came with other side effects. His skin was now wet, and prone to dry quickly which was extremely painful. He also suffered dehydration in his respiratory system if he was not in a 100% humidity atmosphere. To that end he added a moisturizer to the backpack of his AIM suit to be able to move freely in dryer environments. Either way he now had the tools he needed to forge a new life for himself and to punch AIM where they were most vulnerable. He knew all their secrets and he was now unafraid to use them against them. In the following years AIM STRONG came to life. An un discernible AIM scientist infiltrating in AIM facilities and destroying them from the inside. This caught the attention of DXDO who promptly offered him a position he couldn't deny. Deformed	:	His experiment rendered him with a skin that seems as if he was burnt severely. Former mad scientist:	The experiment reduced his intellect considerably, but not his curiosity for not so ethical experiments. AIM	:	AIM wants to gain control of AIM Strong back again. AIM Suit	:	Fredrik needs his modified AIM suit to be able to move and breath freely. Depending on the humidity, he can withstand the normal atmosphere for some, after which his skin begins to dry out and he starts to suffocate. If humidity is 100% he has no problem. Strength	7	,	Stamina	7	,	Agility	2	,	Dexterity	0	,	Fighting	7	,	Intellect	2	,	Awareness	2	,	Precence	0	. Move by action	1	,	Fast Grab	1	,	Teamwork	1	,	Benefit (AIM scientist)	,	Imp. Defense	1	,	Imp. Grab	1	,	Imp. Hold	1	,	All out attack	1	,	Power attack	1. Last edited by Camus on Wed Jan 18, 2017 4:45 pm, edited 1 time in total. Hmm. It would probably take quite some time to determine that the 'cats trusted the powers that be on Earth Prime enough for any significant migration there (or anywhere off Sphinx that made it through the Merge). A handful of experts accompanying official Manticoran delegations or the odd 'cat bonded to a human may come out this way, but even a "colony" as small-scale as the one on Grayson is probably not likely any time soon. Also probably worth reminding everyone if they're selected - treecats are physically unable to speak human languages. They're telepaths among themselves, and have relatively recently (less than twenty years ago) picked up sign language to talk to two-legs (and the difference between a drow and human isn't likely to register as much to them). No one in canon has built a portable sign to English translator (though it seems like Shannon could do it by game mechanics). Bladewind wrote: If you want to think about things like colonies of treecats and the like, feel free. But try not to pin them down to specific locations. At least at the start. Heh. Mine was yesterday. 41, sigh. drothgery wrote: Heh. Mine was yesterday. 41, sigh. Make you feel better if I say 44 ? Last edited by Bladewind on Wed Jan 18, 2017 6:20 pm, edited 1 time in total.